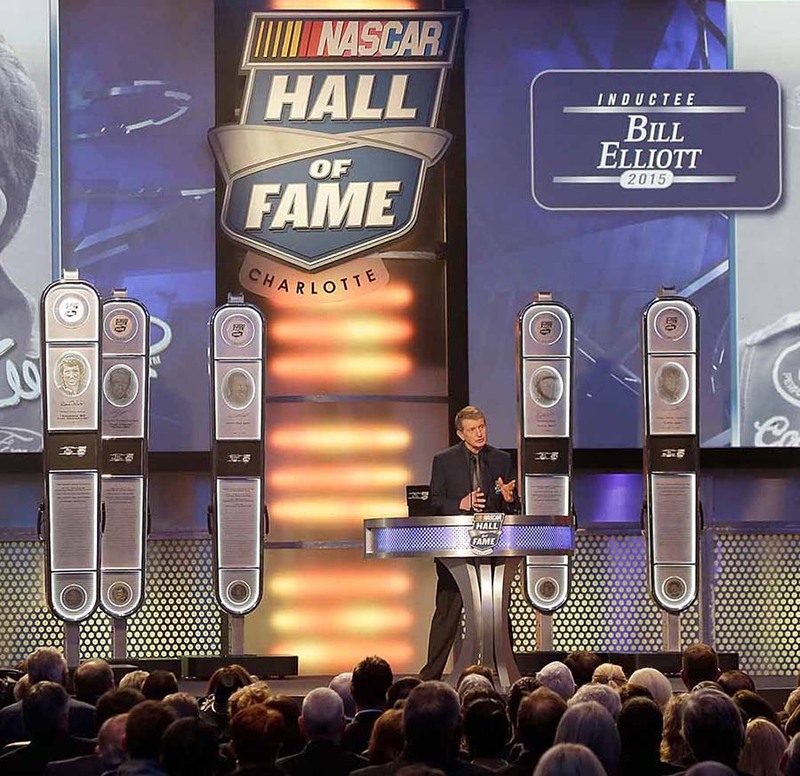 Bill Elliott was inducted in the NASCAR Hall of Fame as a member of the 2015 Class along with Fred Lorenzen, Wendell Scott, Joe Weatherly, and Rex White. 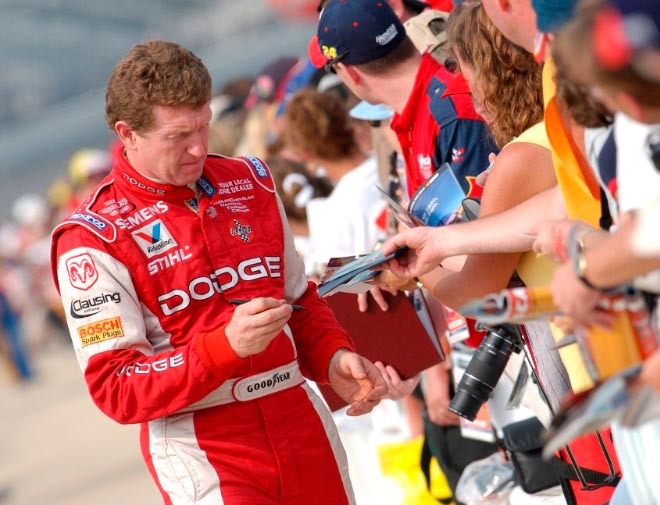 In 2002, Bill Elliott won his record-setting 16th Most Popular Driver Award via a fan poll conducted by the National Motorsports Press Assoc. 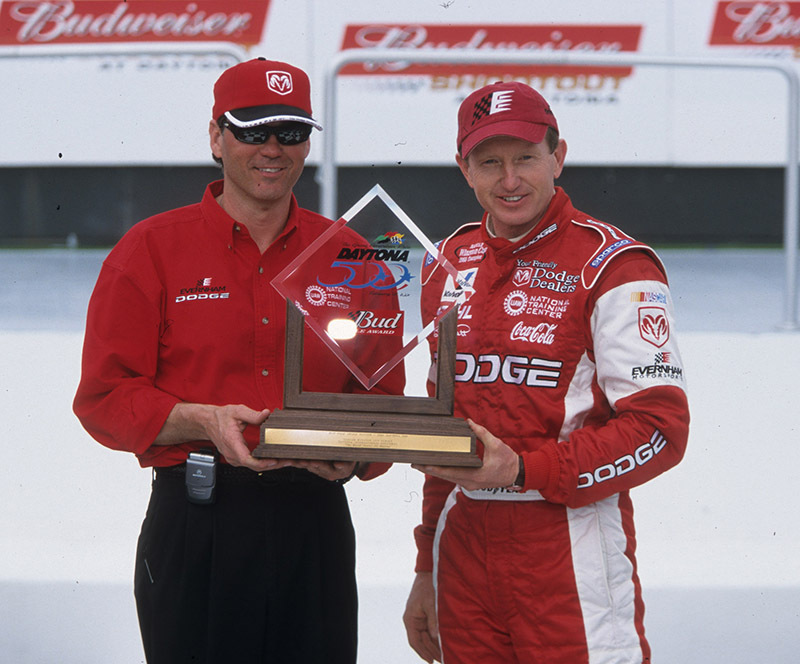 Other years won include: 1984-1988 and 1991-2000. 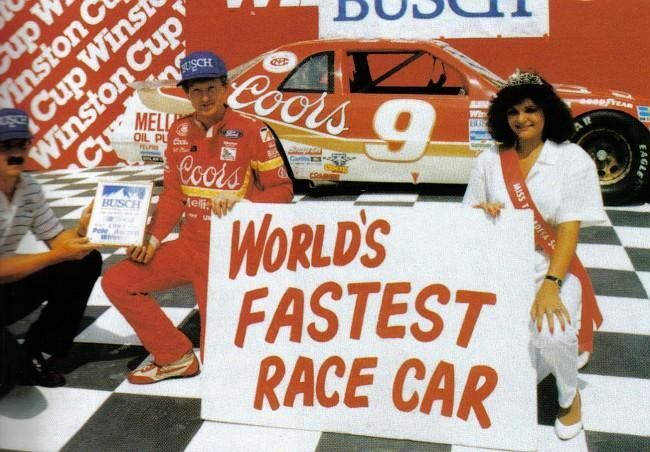 Bill Elliott set the all-time NASCAR qualifying record, winning the Busch pole for the Winston 500 at a speed of 212.809 mph (44.998 seconds) on the 2.66 mile oval at Talladega. 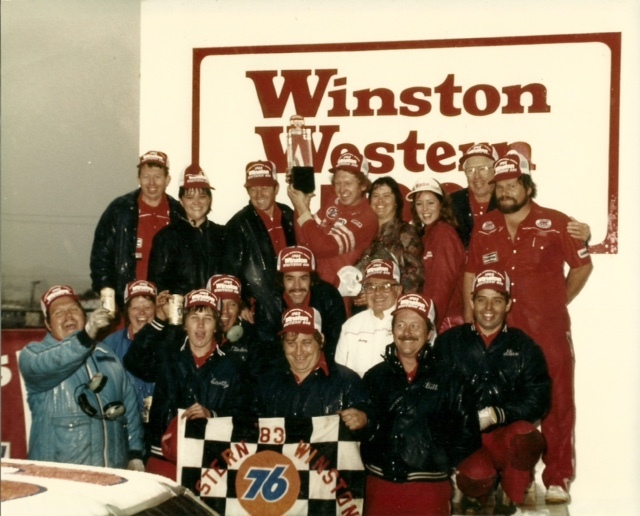 The record still stands due to the use of the carburetor restrictor, mandated after Elliott’s record run in 1987. 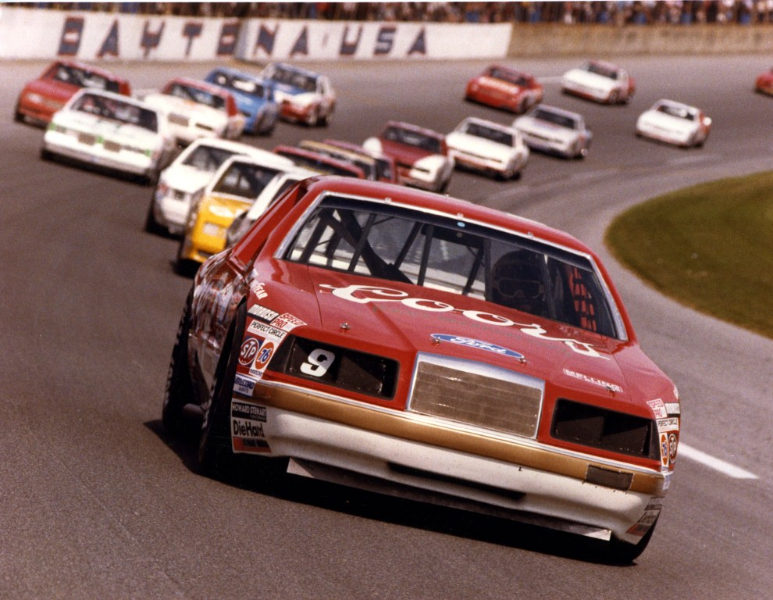 Bill Elliott’s magical year in 1985 was capped off with his 11th win of the season at Atlanta Motor Speedway. 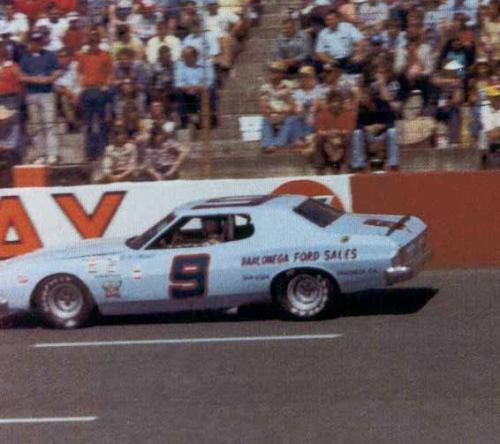 The win gave him a sweep of both races at his home track that year. 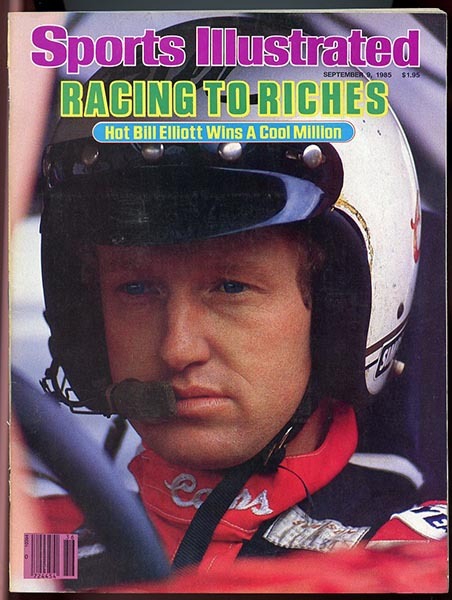 Winning the Winston Million led to Bill Elliott becoming the first NASCAR Winston Cup driver to grace the cover of Sports Illustrated. 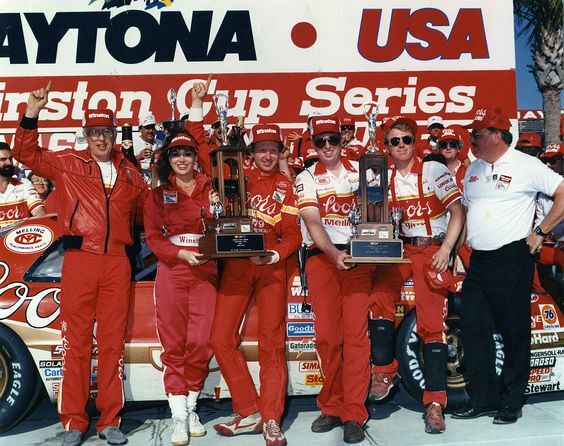 Bill Elliott’s first Daytona 500 win in 1985 kicked off a career-best, 11-win Winston Cup season. 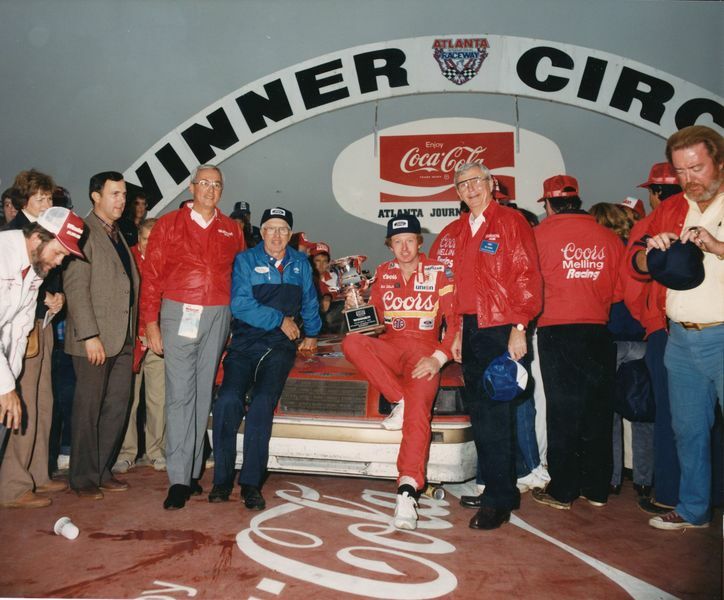 In his first full Winston Cup season, Bill Elliott found victory lane in the final race of the season in the #9 Melling Tool Ford at the road course at Riverside (Calif.) International Raceway. There's no post here yet!